Recipes for High Protein Hot Chocolate and Cappuccino! Here are 4 new recipes for High Protein Hot Chocolate and High Protein Cappuccino! They are made using the high protein hot chocolate or vanilla cappuccino packets in our office (15 grams of protein for only 80 calories, and super-simple, they dissolve easily, available on SeacoastNutrition.com), but you can get a similar effect by substituting 1 1/2 scoops of whey protein, 1 tsp cocoa powder or instant coffee depending on the recipe, and sweetener of your choice, such as 1-2 packets of a stevia-based or monk fruit-based calorie-free sweetener. If you'd like to try a packet, stop by the office, we'll give you one! Get out your favorite microwavable cup or mug, and add the cappuccino packet. Stir in ¾ cup of hot water until mixed well. Stir in the canned pumpkin, then add the soymilk and stir in until smooth. Take out your favorite coffee mug, add all ingredients, pour in the hot water or coffee last. Stir well and enjoy. MAKES 1 SERVING. 1 packet of High-Protein Hot Chocolate. Add 1 packet of high protein hot chocolate and instant coffee into your favorite microwaveable cup. Stir 3/4 cup hot water into the mixture. Once blended, add soymilk. Microwave about 45 seconds, until hot. Top with diced white chocolate chips. Enjoy! MAKES ONE SERVING. Place the High-Protein Hot Chocolate powder, instant coffee, and chocolate chips in your favorite oversized microwavable mug. Stir in ½ c hot water and 1 tsp caramel dip until melted. Add soymilk, stir, then microwave for 1 minute. Top with light whipped cream, drizzle the other tsp of caramel dip, and sprinkle on the sea salt. Enjoy! MAKES ONE SERVING. 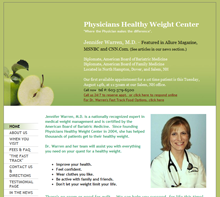 If you would like even more support, you can read more about our full medical weight management program at healthyweightcenter.com. We now offer phone/Skype counseling in addition to our private 1:1 comprehensive office program, for extra convenience. Let us know when you need us - we’re here to help! Call any time: (603) 379-6500.